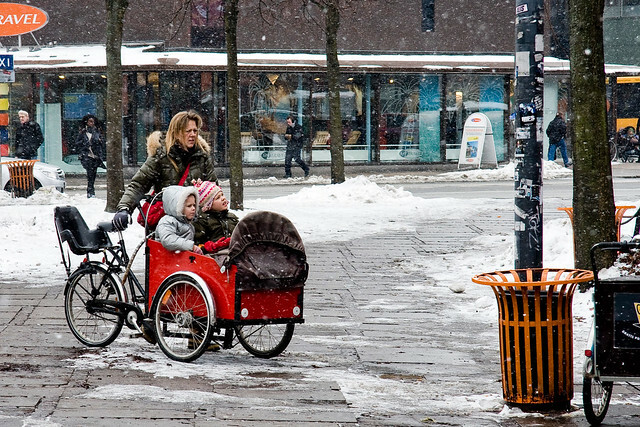 I'm involved in a large project regarding cargo bikes in European cities. 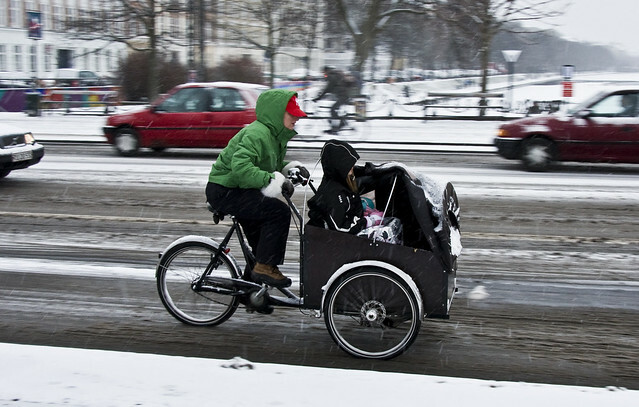 It's kicking off later in the spring, but I've been looking through my material and figured I'd salute the supermums and superdads who continue cycling with their kids on the Danish version of the SUV - the cargo bike. Pictures like this are proof that your city is doing something right. It's wonderful how weather is just a question of willing and clothes... Congratulations for the pictures Mikael and the best of luck for the new project. 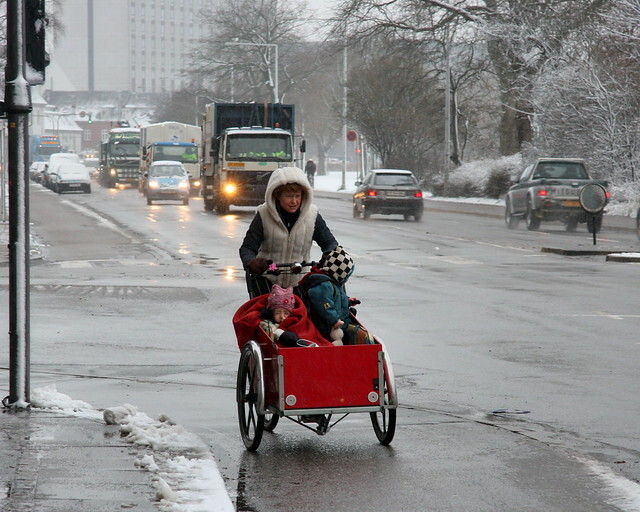 as always I love the cargo bike posts. question- you may deem this unworthy- but I hae a sorte jernhest. I really want to motorize it due to rolling hills in my area- do you know anyone or anything about doing such a thing? If you do- please pass along? vanessa DOT Allen AT mac DOT com thanks ( and if you cold erase my email from everlasting posting on your site that'd be awesome. I'd love to see these in London more often, but I don't think there is anywhere to store them. If you left them out in the street they would just get vandalized!